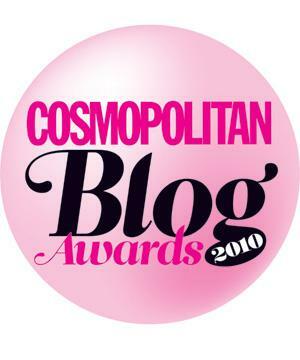 From everyone here at Girls n Gadgets, we’d like to thank all of our readers for supporting us in the Cosmopolitan Blog Awards. We didn’t win unfortunately, however we came second and so we were ‘Highly Commended’ in the Gadget/ Tech Category.First place went to our friend Nikki over at Girl Geek Chic and was well deserved! Congratulations Nikki! The presentation of the awards was an early morning affair. Held at ‘Sketch’, just off Regent Street, attendees were welcomed with refreshments including a fruit skewer that had some of the biggest blackberries I’ve ever seen! The presentation of the awards were brief, although it was nice to see the blogs, along with comments that readers had made when voting, beamed up on the walls. The awards, which were sponsored by Collection 2000, received a total of over 15,000 votes. Winners of each category will get the opportunity to blog or write an article for the magazine. Congratulations to all the winners and highly commended blogs! Previous Previous post: Wii remotes for the wee ones!